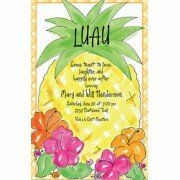 This 6" x 8" invitation is perfect for a beach, luau or other tropical theme party. 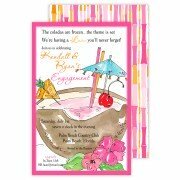 White e.. 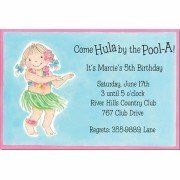 Size: 5.75" x 8.75" Includes: Invitations, Envelopes Processing Time: If ordering unprin.. 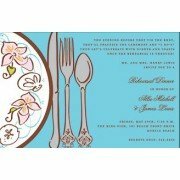 This 5.75" x 8.75" invitation is perfect for a bridal luncheon, shower, rehearsal dinner and more.. 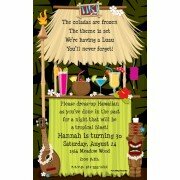 This 5.75" x 8.75" invitation is perfect for a luau or other tropical themed parties. White..